Shoot me now – but first, Merry Christmas! I feel like a broken woman. My left foot hurts, my right knee hurts and it’s really hard to limp on both legs. My left eye is horrendously bloodshot and my left elbow is sore. I’m tired from working in retail right up to Christmas Eve, and sad because I’ve not been able to run for weeks. Truth be told, it’s been painful to even walk. If I was a race horse, they’d shoot me. My last run was a few weeks ago, on a rare trip to my local parkrun. The weather forecast was disgusting, and to be honest if I hadn’t been meeting someone there I’d have stayed in bed on a precious Saturday off. So thank you very much Louise (abradypus) for making me get out there and for a very enjoyable (if muddy) run. We had a lovely chat and my right knee felt great after my recent physio session. Since then, standing for 8 and a half hours a day has taken its toll on my legs / eye / elbow, and if I hadn’t finally made it to Christmas I’d be very sad at this point. But Christmas it is, and I’ve spent a very lovely day with my family relaxing and eating good food. 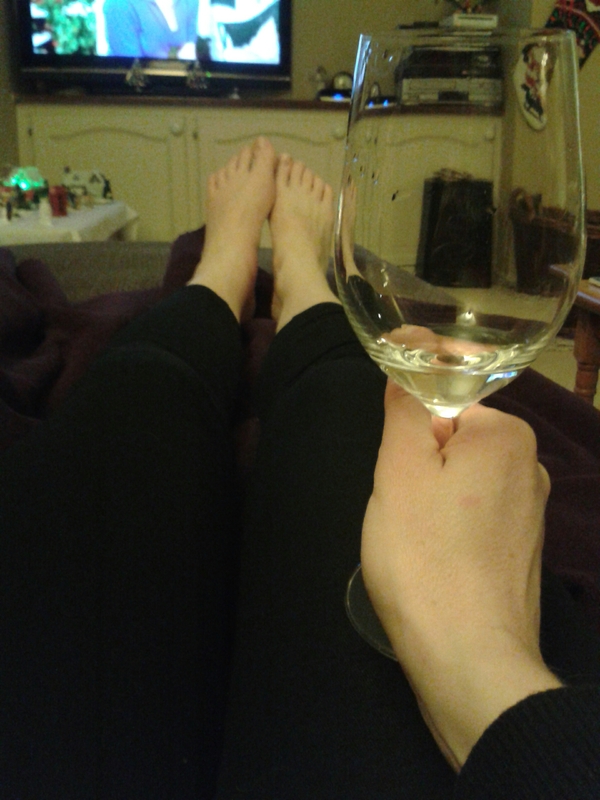 So I’m sat now with my feet up on the sofa, an ice pack alternating between my foot and knee, and a glass of wine in my hand. There’s always next year to run again. So with that optimistic thought, may I wish you all a Merry Christmas, and a run filled New Year. Posted on 26/12/2015 26/12/2015 Categories Injury, parkrunTags Happy New Year, Merry ChristmasLeave a comment on Shoot me now – but first, Merry Christmas!